One conundrum with the low interest environment is trying earn interest on your cash deposits. Yes inflation is low, but when you have cash sitting around it is nice to know where your best options lie. So, I thought those in this situation might appreciate Jason Zweig's article and review of the current environment and vehicles, particularly a site he mentions that is a good tool too: wwwdepositaccounts.com. This is a WSJ article. Often the WSJ does not allow direct links to their articles. However, if you search the title "Squeeze More From Your Cash" you can find and access the article. This short video explains the complexity of timing markets that is often portrayed in the media as an effective method, but is demonstrated only to be a random result. I don’t normally, or have not thus far, responded to market sell-offs. And, I am not typically a big believer in lengthy market commentary. But, this year’s start and market decline looks to be the worst in sometime, at least since the 2009 decline. So, I wanted to offer encouragement to potential and current Pacific Capital Works clients that the plan we have in place, see your Investment Policy Statement (IPS), is a winning strategy. And, if we stick to it, and don’t get caught up in the market movements, we will achieve our goals, which is the reason we are investors in the first place. While it is tempting to believe that there are those who can predict bear markets and, therefore, sell before they arrive, there is no evidence of the persistent ability to do so. On the other hand, there is a large body of evidence suggesting that trying to time the markets is highly likely to lead to poor results. For example, a study on the performance of 100 pension plans that engaged in tactical asset allocation (a fancy term for “market timing,” allowing the purveyors of such strategies to charge high fees) found that not one single plan benefited from their efforts. That is an amazing result, as even random chance would lead us to expect at least some to benefit. There were 33 years (or 37% of them) in which the S&P 500 Index produced a loss during the first quarter. By the end of 18 of those years (or 55%), the S&P 500 had produced a gain. Of those 18 years, the highest return occurred in 1933, when the S&P 500 returned 54%. The best performance during the last three quarters in each of those years was also in 1933, when the S&P 500 returned 79.2%. The last time the first quarter ended in negative territory but full-year returns turned positive was just recently, when in 2009, the first quarter finished with a return of -11% and went on to recover for full-year gains of 26%. There were 31 years (or 35% of them) in which the S&P 500 Index produced a loss during the first six months. By the end of 11 of those years (or 35%), the S&P 500 had produced a gain. Of those 11 years, the highest return occurred in 1982, when the S&P 500 returned 21.4%. The best performance over the last half in each of those years was also in 1982, when the S&P 500 returned 31.7%. There were 24 years (or 27% of them) in which the S&P 500 Index produced a loss during the first nine months. By the end of four of those years (or 17%), the S&P 500 had produced a gain. Of those four years, the highest return occurred in 1982, when the S&P 500 returned 4.0%. The best performance over the last quarter in each of those years occurred just recently, when in 2011, the S&P 500 returned 11.8% over the last three months. As Warren Buffet stated about the simplicity and the difficulties of investing . The simple part is that the winning strategy is to act like the lowly postage stamp, which adheres to its letter until it reaches its destination. Similarly, investors should stick to their asset allocation until they reach their financial goals. 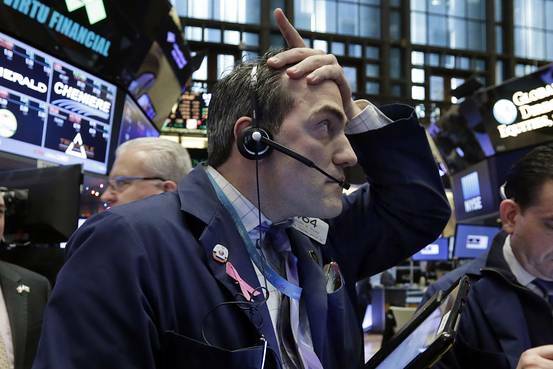 The reason investing is hard is that it can be difficult for many individuals to control their emotions (greed and envy in bull markets, and fear and panic in bear markets). In fact, I’ve come to believe that bear markets are the mechanism by which assets are transferred from those with weak stomachs and without an investment plan to those with well-thought-out plans—meaning they anticipate bear markets—and the discipline to follow those plans. A necessary condition for staying disciplined is to have a plan to which you can adhere. But that’s not sufficient. The sufficient condition is that you must be sure your plan avoids taking more risk than you have the ability, willingness and need to take. 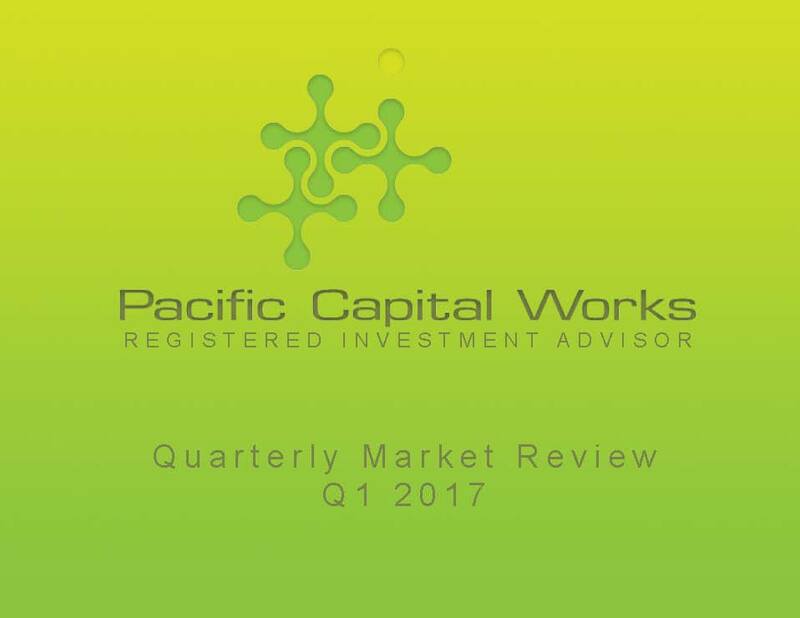 Pacific Capital Works recognized as Portland's leading Investment Advisor for Executives and Entrepreneurs by AdvisoryHQ an independent Financial Review and Ranking News Media source. Todd Brundage Airs on Business Radio Powered by Wharton School on "Your Money"
Todd Brundage, the President of Pacific Capital Works, joins Professor Kent Smetters of the Wharton School of Business as a contributor on the program “Your Money.” Your Money airs on Business Radio on Sirius XM on Tuesday, September 29th from 5pm to 7pm EST. Todd will air from 6:20 to 7pm EST. It is not uncommon to hear in investment conversations about someone’s trusted advisor who takes good care of them. However, within the investing landscape a glaring dilemma exists with these individuals understanding. The compensation system and the exclusion of the fiduciary role of your advisor can run counter to your interests. And, it is well documented in the literature that when the incentive system of your advisor runs counter to your interest, often their behavior follows…leaving your trusted advisor not so trusted. Many of us assume all advisors are similar. And, once you feel you have found someone you can trust then you believe you have the winning combination for success. However, not all advisors are the same. In fact, how your advisor gets paid can likely communicate to you how well they can be trusted and how likely they will work on your behalf. The vast majority of financial advisors are sales people. This method of client interface has been very effective for the “Wall Street” firms. These very likeable and apparently trustworthy people concentrate on distributing the products and services of the firm they work for that designed them to generate a profit and to be easily sold. I might also add I think these sales peoples’ relationships are genuine, but they don’t make decisions beyond the sales execution and often don’t have the financial knowledge to understand the investment structure that best benefits a client’s interest. It is quite common for these sales people to be well liked. It is why they took up the vocation of sales in the first place. And, those who don’t leave potential clients with this warm and fuzzy feeling and don’t get the new business get thrown out of this, often described, ruthless industry quite quickly. But, in no way is this particular sales structure good for you. There are multiple ways advisors get paid by their clients. The public investing community isn’t usually aware because most advisors try to look like the independent fiduciary that is representing your best interest and are vague about methods of compensation. And, frankly, unless your advisor discloses this to you, you will likely never know the full extent of the compensation picture. So, it is important to ask your advisor how they are paid and what fees you pay. For clarity I have divided the compensation system into two types of payment: (1) Fee-only and (2) Fee Based. Fee only advisors get paid directly by you in a variety of forms. But, they will disclose that fee to you and that is the only fee they receive for their services. Fee-only advisors are generally considered the most transparent and the most likely to best represent your interest because conflict of interest is minimized. On the other hand, Fee Based Advisors may not disclose their compensation or only some of it; which is why many clients don’t know what they are paying or only know about the fees charged on your statements. Additional fees could be in an ongoing insurance commission, an investment fee that the fund kicks back to the advisor (12b-1), spreads in the transaction of an investment (compensation typically gained in bond trades from differences in price your advisor firm transacts and purchases or sells to you for), or commission on the sale of an investment. Financial services clients paying advisors through Fee Based methods will find the method of compensation very convoluted, but more importantly, likely are bringing in an incentive system to the advisor that no longer includes looking out for the client’s best interest because they are bringing other compensatory relationships into the equation. And, even more confusing is many Fee-Based advisors, and some calling themselves Fee-Only advisors, complicate these compensation methods by collecting fees from a combination of payment types, a sort of wolf in a sheep’s clothing. Some might call themselves a Fee-Only Registered Investment Advisor (RIA) firm and charge a fee like a fee only advisor, all seeming very trust worthy. But, the actual employees of the firm might also work for another employer, typically a brokerage firm or insurance company, where they receive additional income from these other forms of compensation and therefore, as employees, are not a Fee-Only advisor. The usual scenario occurs when a dually employed advisor also works for a brokerage firm and/or an insurance agent, selling you questionable insurance contracts or putting you in investments into expensive vehicles which provides these advisors additional income, or provides them a commission on the spread of a sale. Hopefully this is not the case for you? Unfortunately, it is likely happening more often than not, which makes one question the often overheard statement of one’s trusted advisor. It is clear, if you are going to use an advisor, which is poignantly clear in the research of client benefits, that utilizing a “real” Fee-Only Advisor and Advisor Representative is the most beneficial choice for your financial goals and health.